Christopher Morley's classic tale of Helen McGill, a woman bored with her life living on her brother's farm. 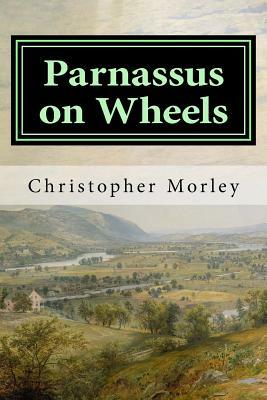 When a traveling book salesman, Roger Mifflin, arrives at her farm with his horse-drawn book sales wagon called Parnassus, McGill is decides to abandon her current life, purchase the book business, and travel the countryside selling literature. Morley later wrote a sequel to "Parnassus on Wheels" called "The Haunted Bookshop.